Yep, you read that assignment correctly! Don’t be afraid of the clearance section at the grocery store. Stores will mark down foods and other products when they are close to the “use by” date or the store has too much of a product and it needs to be cleared out. I regularly find produce, meat, dairy, eggs, baked goods, and dry goods marked down at 40% – 50% off or more. Honestly, I have never had a problem with buying food that has been marked down, but use your judgement. If the food doesn’t look so good, don’t buy it. And if it looks really suspicious, show it to the department manager. Find your store’s clearance section(s) the next time you go shopping. They most likely have designated areas throughout the store. If you don’t know where they are, ask Customer Service. At my main grocery store, all of the clearance is marked with bright yellow stickers. At this store, they keep the bakery mark downs on a shelf in the dairy department. The produce clearance is on a separate shelf within the produce department, and the marked down meat is kept in the meat department. There is also a big shelving unit with dry goods and other sundries in the frozen foods aisle. Find out your store’s clearance strategy. How do they mark these goods down and where are they located? And to make these deals even sweeter, I have at times had coupons for the marked down items. 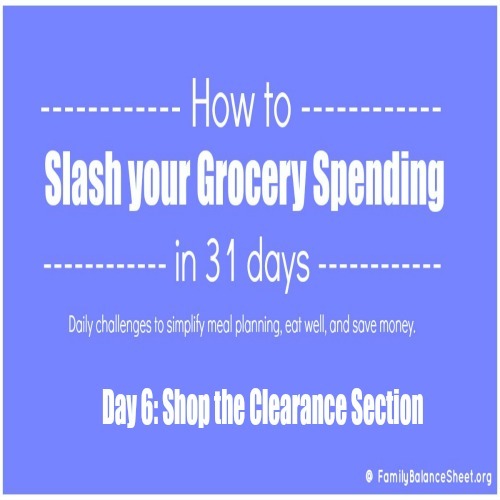 Find out your store’s policy on clearance groceries being stacked with manufacturing and store coupons. I regularly find Italian loaves of bread marked down to $1 that I use to make Cheap (but Tasty) Homemade Croutons & Garlic Bread. I can get two meals worth from one big loaf. 75 oz box of National brand dishwasher detergent powder marked down for $1.50, regularly $3.89. 6 bar pack of Caress soap for $1.46, plus I had a $1 coupon. And that’s just what I can remember…I find bargains on a weekly basis. 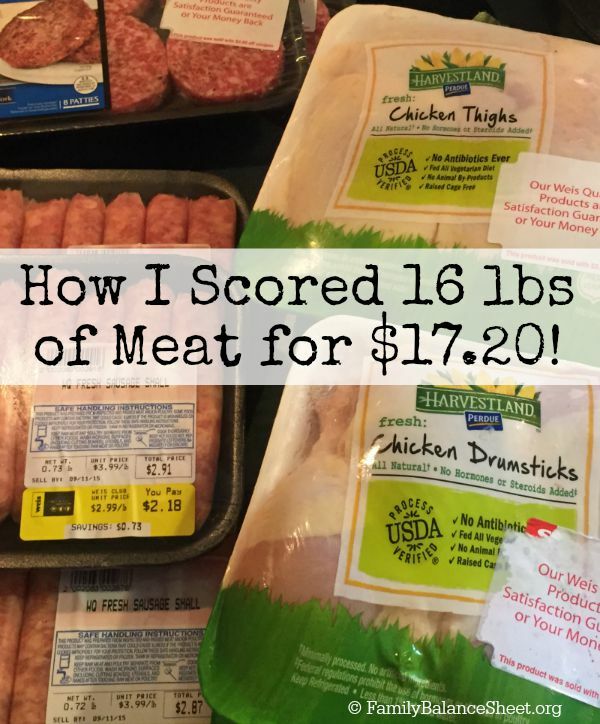 Again, if the thought of buying clearance food, especially meat, scares you, please read What You Need to Know About Marked Down Meat. Are you following along with the challenge? Tell us what treasures you discovered in your pantry and refrigerator in the comments. To follow along all month, follow daily on Facebook. I’m also participating in the challenge and will be posting pictures during the month.